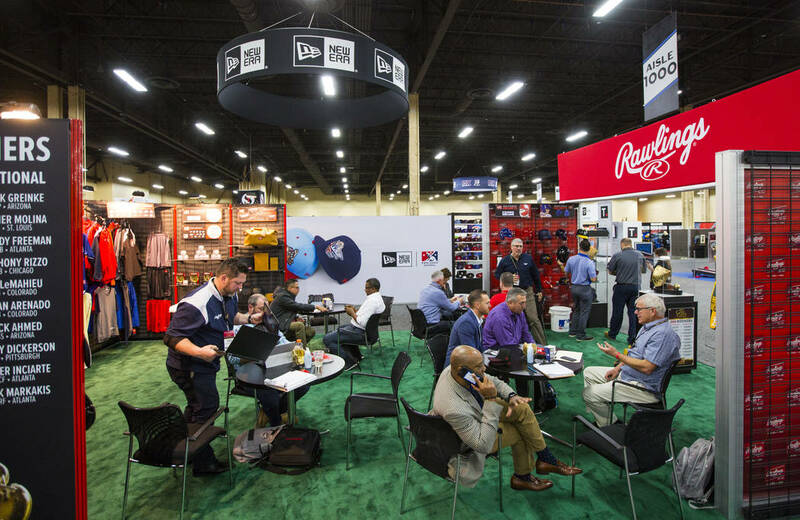 If you arranged the things to do at baseball’s winter meetings like a batting order, the trade show on the third floor of the Mandalay Bay convention area definitely would bat cleanup. 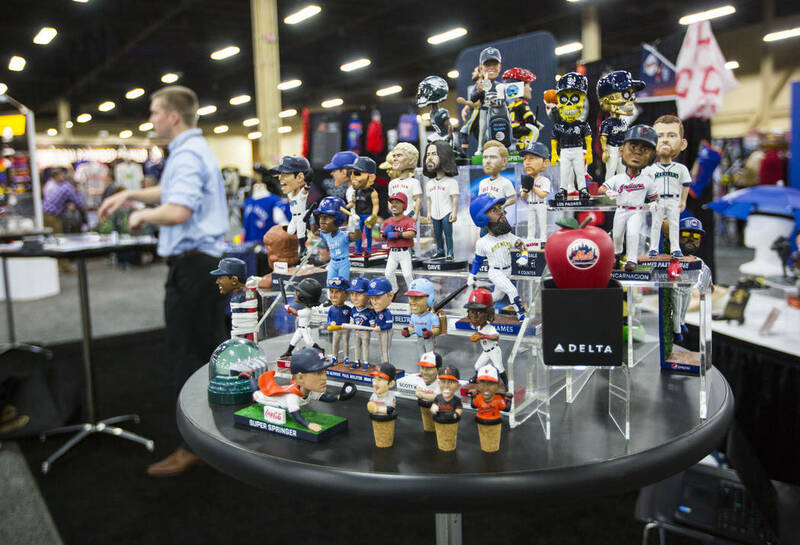 If you arranged the things to do at baseball’s winter meetings like a batting order, the trade show on the third floor of the Mandalay Bay convention area definitely would bat cleanup. Unless Cubs manager Joe Maddon, who spoke in the media room Tuesday, was making out the lineup card, in which case it might bat anywhere. 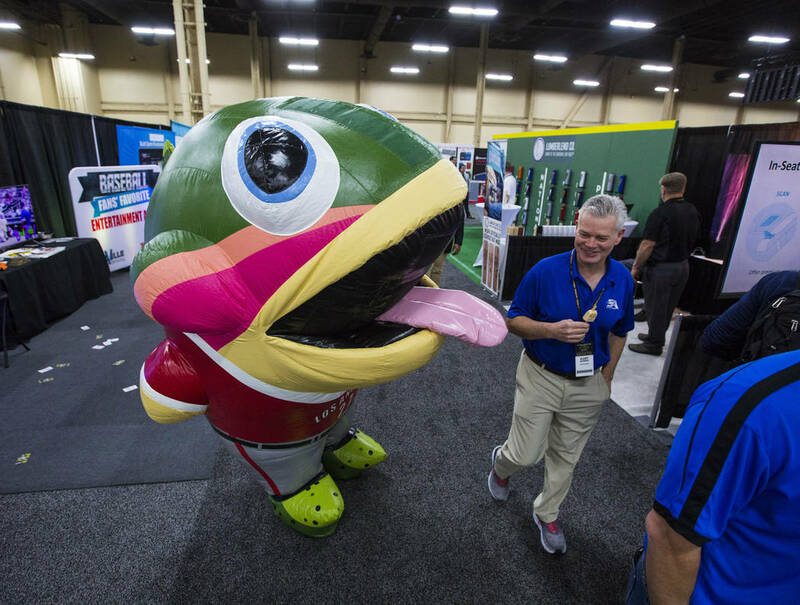 You can find anything under the Suns (Hagerstown and Jacksonville) at the baseball trade show (although as of 2017, the Jacksonville Suns of the Double-A Southern League started calling themselves the Jacksonville Jumbo Shrimp). 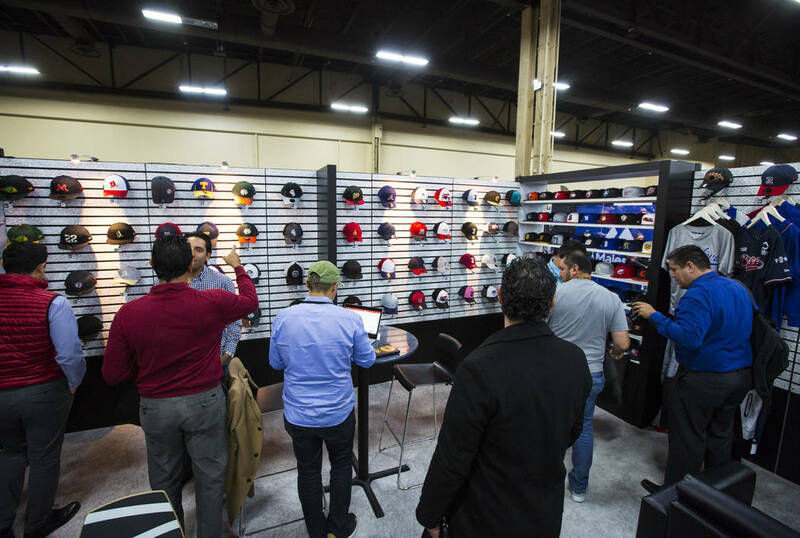 Rounding it off, there are a bazillion square feet of exhibitor space on the trade show floor and a gazillion vendors. These include Hampton Farms, of 202 Peanut Street in Severn, North Carolina. 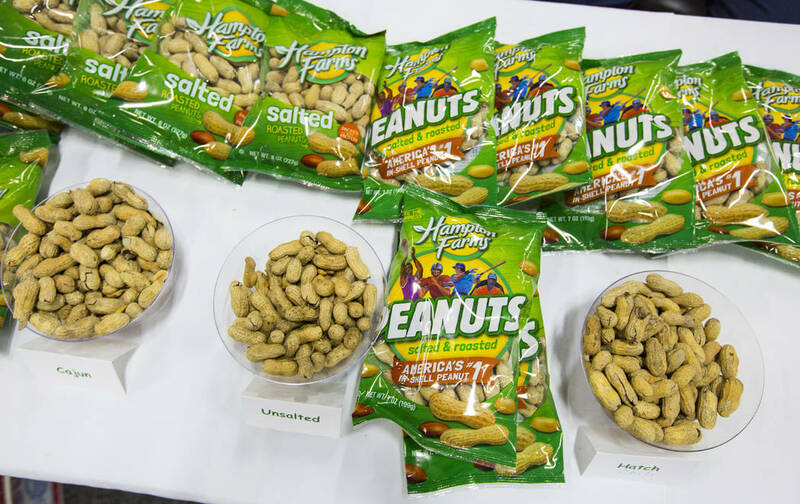 They’ll let you try a complimentary Hatch chile flavored peanut, and one with Cajun seasoning. If you want a whole bag, the sales administrator says you’ll have to order in bulk or go to Walmart. That was disappointing. 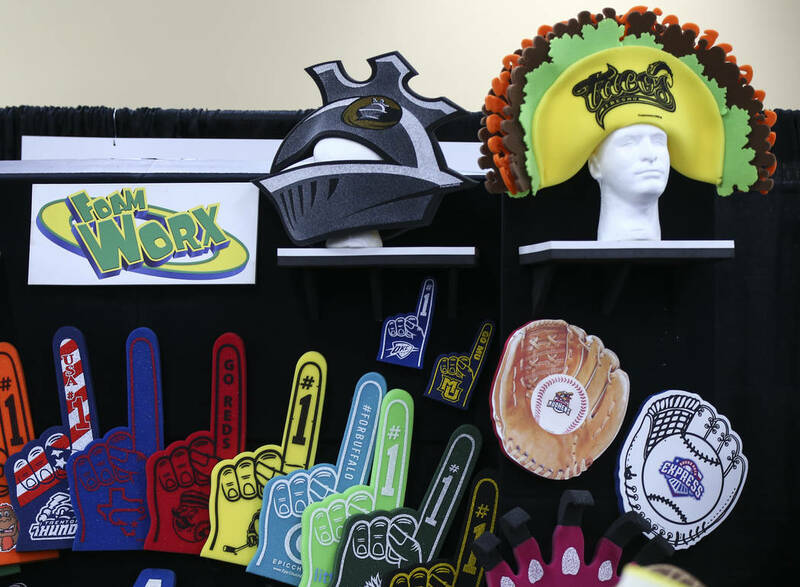 As was discovering that instead of a Cracker Jack booth being next to the peanut one, there instead was a company that specializes in giant foam fingers. 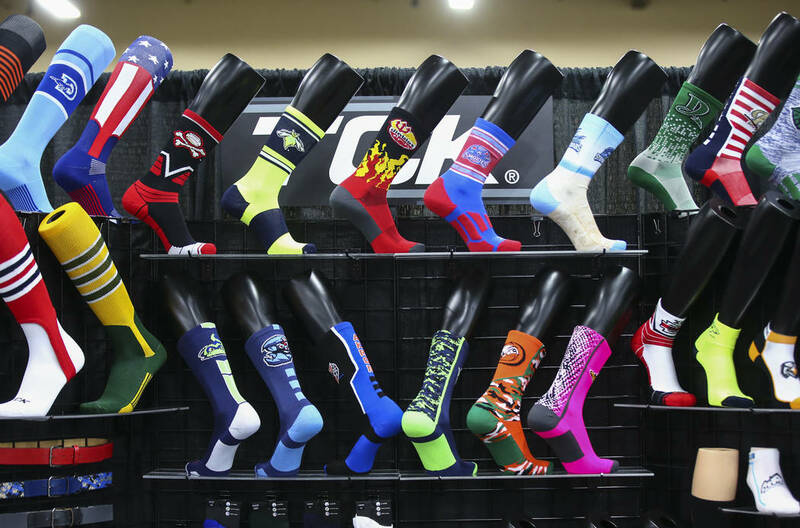 Bats, balls, gloves, batting cages, batting gloves, batting tees, mascot costumes, championship rings, a man calling himself the Human Cannonball. 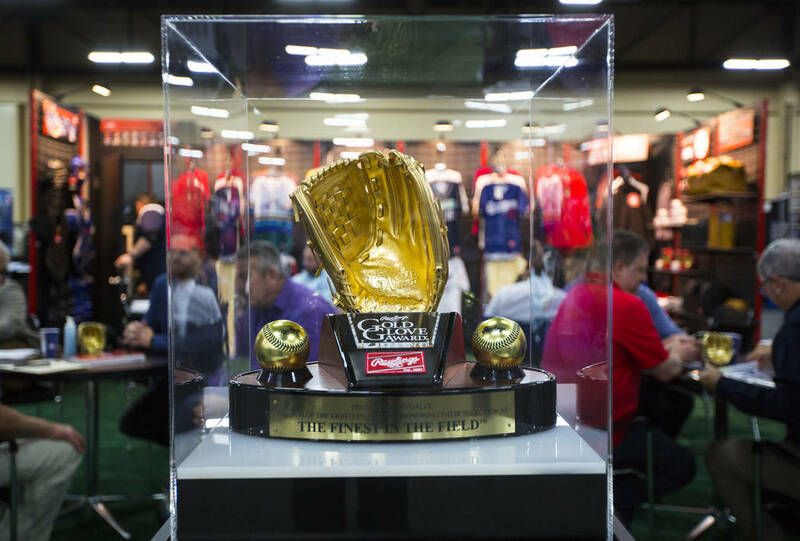 You could find it all at the baseball trade show. Except, perhaps, as Aviators broadcaster and winner of 220 big league games Jerry Reuss would discover, a fungo bat. 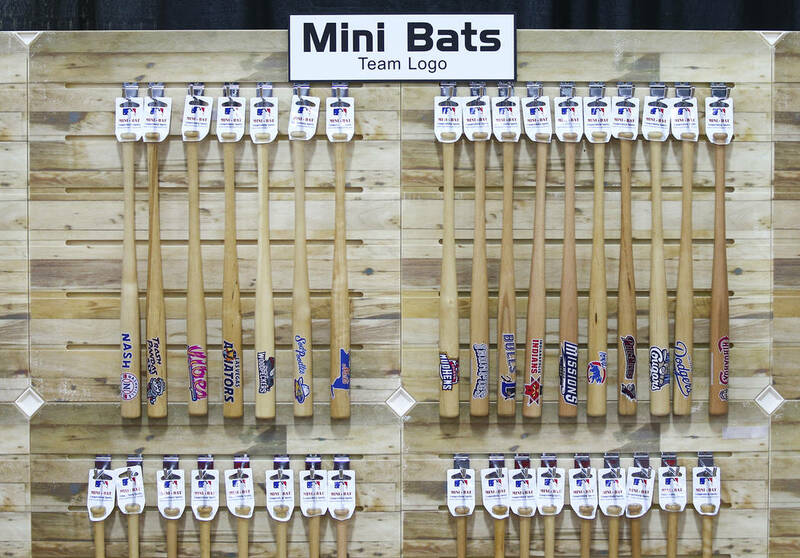 A fungo bat probably started out as a Harmon Killebrew model, or a Hank Aaron, before the guy at the lathe fell asleep and it came out too long and skinny. 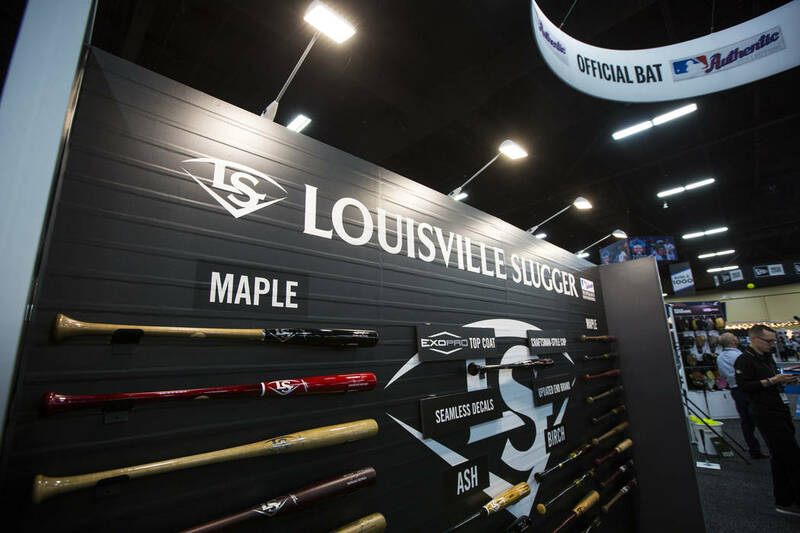 Instead of tossing it into the scrap bin with the Mario Mendoza models, the Louisville Slugger people decided it was ideal for hitting ground balls to infielders and cans o’ corn to outfielders during batting practice. A story often is told at meetings such as these, and during rain delays, about former California Angels coach Jimmie Reese once shooting 82 on the golf course using only a fungo bat and a putter. 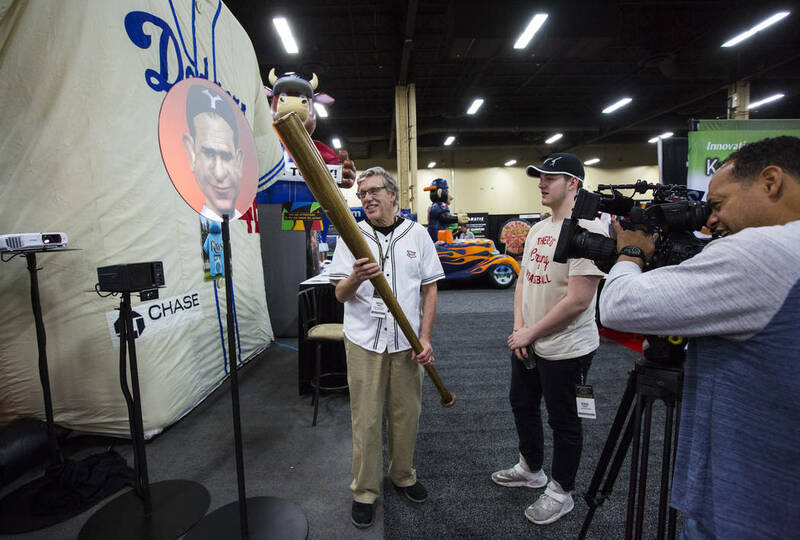 Jerry Reuss has a baseball story for every occasion, and so he started telling one about when he was pitching coach for the Iowa Cubs, and he kept the Iowa pitchers in shape by hitting them fungos — and the Louisville Slugger people made him two fungo bats out of hard maple (so they wouldn’t wear out) with his name on them. “It’s probably safe to say I was the only coach in the minor leagues with a signature fungo bat,” Reuss said, sounding every bit as proud of that as the no-hitter he pitched for the Dodgers against the Giants. 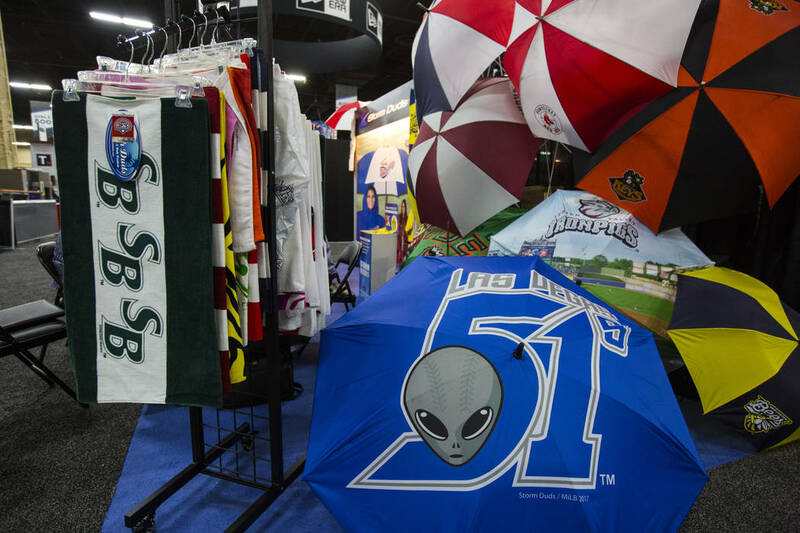 Cooling headbands, warming cup holders, stadium seats, tarps with team logos, padded fences, fireworks displays, pitching machines, radar guns. 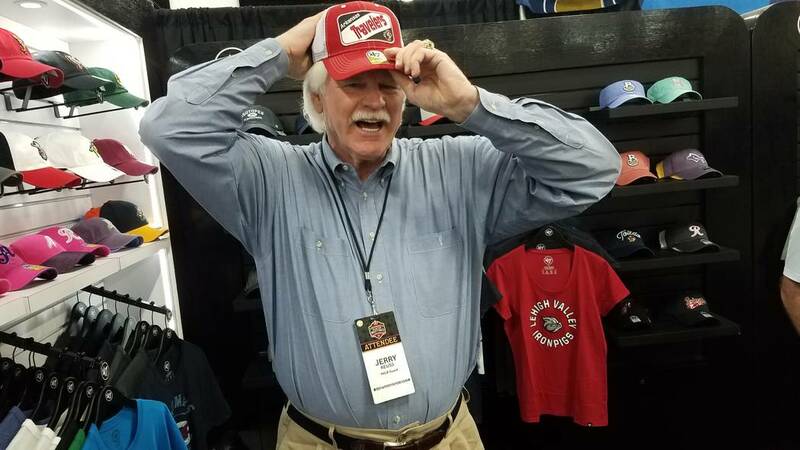 I watched Reuss try on an Arkansas Travelers mesh trucker’s cap that was too small, a St. Louis Cardinals cabana shirt that was too big, plop down on a cushioned stadium seat that was just right. 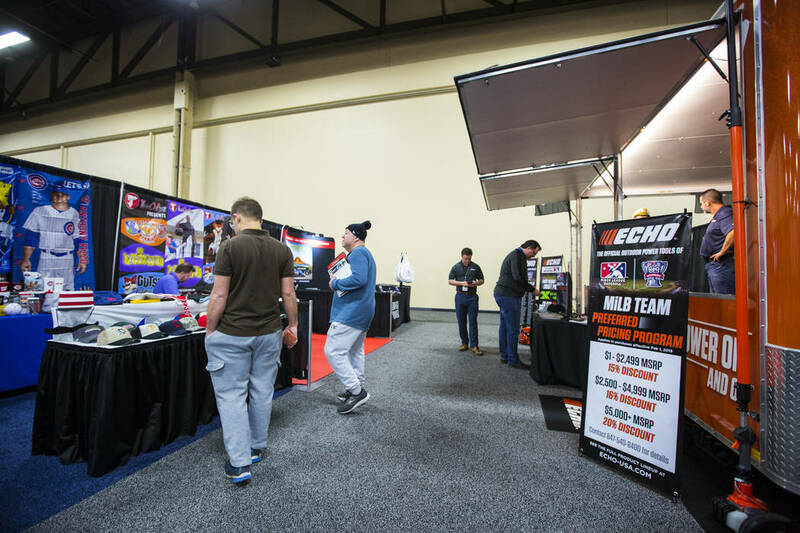 The trade show was like a big bowl of baseball porridge, and about one of every two vendors recognized his name tag, or said they were there when he threw that no-hitter against the Giants. Only one said he had batted against him in a game. A fellow named Sam Matin claimed to have grounded out to third base against Reuss at fantasy baseball camp. You couldn’t look it up, despite what the Ol’ Perfessor Casey Stengel used to say, but it sounded mostly legit. 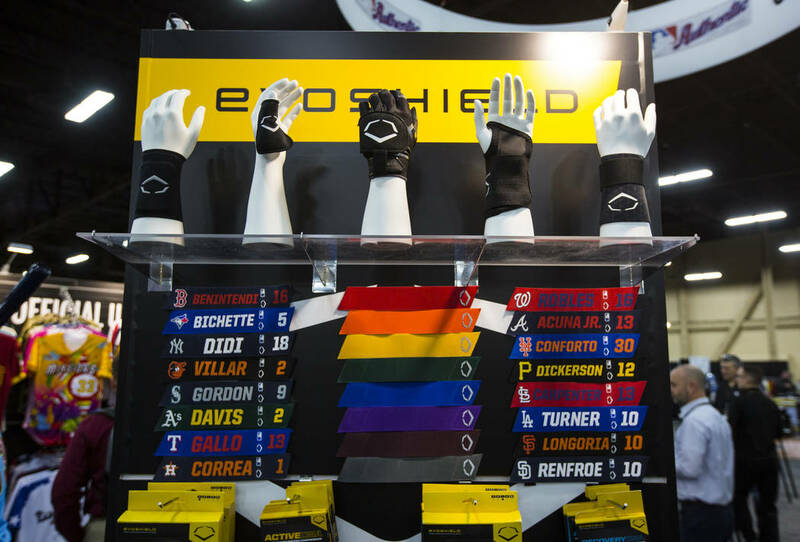 A couple of hours were spent walking the aisles with the big left-hander, watching him try on or try out baseball stuff, saying hello to old teammates and other baseball people he knew, saying hello to other baseball people he didn’t know who insisted they knew him. 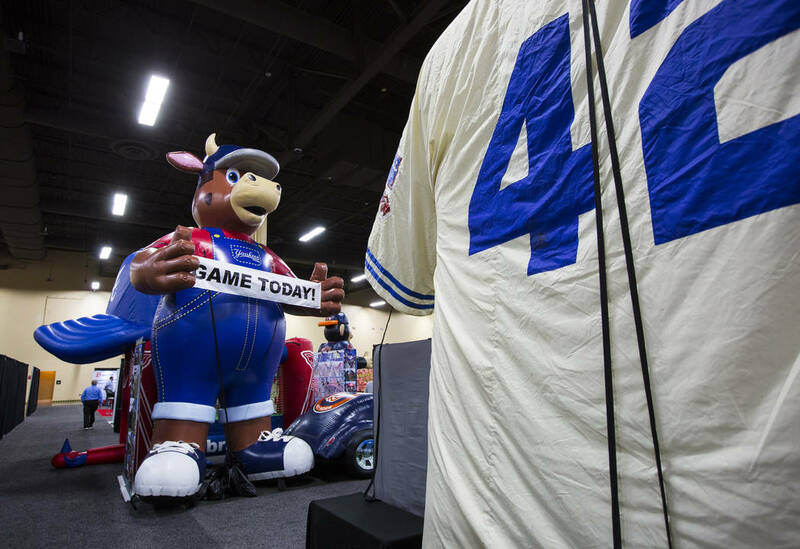 It was one of those unexpected little pleasures, such as finding a $20 bill in a pair of old bluejeans or going to a ballgame and witnessing Mario Mendoza getting a hit with ducks on the pond. 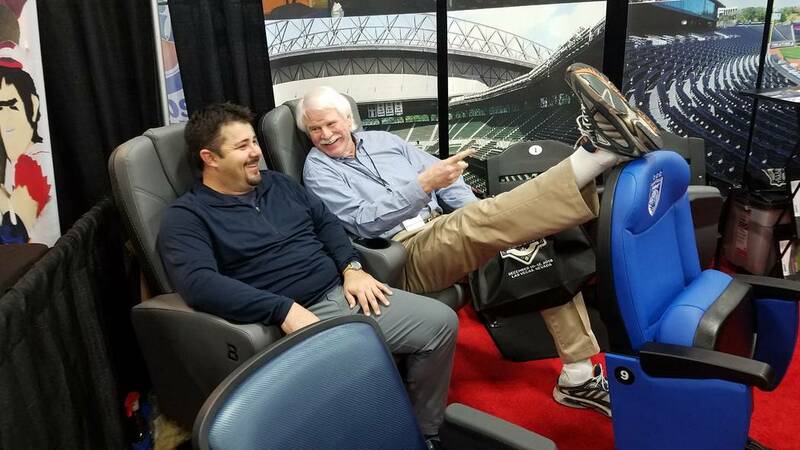 When I left Jerry Reuss and his wife, Chantal, they still were roaming the baseball trade show aisles, looking for fungo bats.